Amethyst stalactite crystal pendant set in solid sterling. This natural crystal was shaped by hand and the amethyst crystals left to display. Very unique stone. The setting is solid sterling silver. The back is stamped 'dream big" and I hope this little phrase is your inspiration to achieve something big. 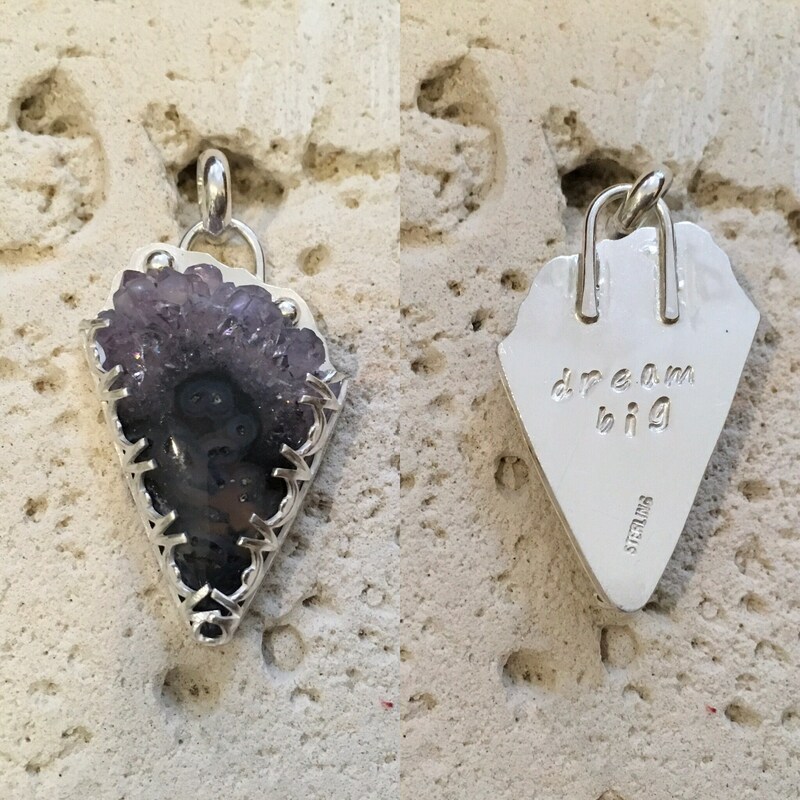 The pendant is 1.75 inches tall including the bail which will fit up to a 4mm chain or cord and is shown in some of the photos on a 10 gauge stainless steel neckwire which I keep just for photos. The neckwire is NOT included in the sale. I can make a custom neckwire in sterling silver for you or I stock different chains and some black silicone cords. Please ask for prices and sizes available depending on your interest. Morgan Hill Poppy jasper pendant. Sterling silver bezel set pendant. hand made one of a kind. Black moonface and shattuckite in sterling silver. "Thankful"